The first week of 2018 is complete! The work week anyway. Well, if you were actually in the office this week. We are finishing up our week in Orlando, and I haven't been in the office since the 21st of December! I did some work from home in between Christmas and New Year's, but to physically go into the office is a foreign thought at the moment! It will be difficult to wake up on Monday!!! I do feel rested though, so I definitely cannot complain! 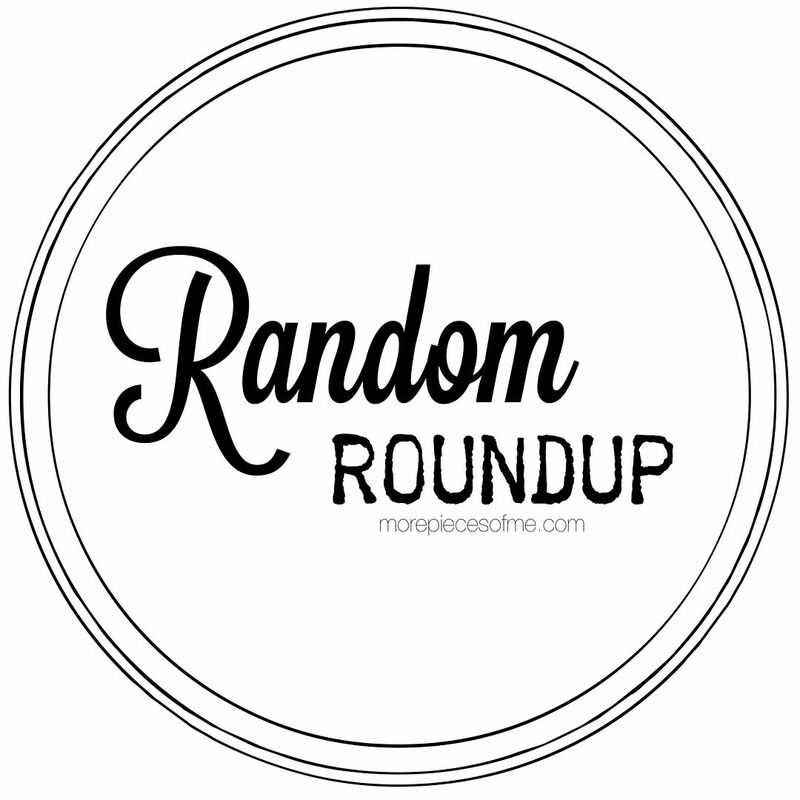 I will be back next week with regular outfit posts, but in the meantime, I wanted to use today to get caught up on some outfits I wore through the end of December. Let's get started! This is the same outfit I wore for blog photos in this post here. I re-wore the outfit to work. It's nice when you can wear the exact same outfit for two different audiences! It really is a great sweater, and surprisingly warm! I love wearing it. Not much to say about this outfit other than the fact that it's made up of some old favorites. I have this sweater in two colors from last season, and it's just as wonderful this season, too. I just wish it were still available for you. This Grace and Lace "Perfect Fit" tank I wear all the time was on sale in shorter length in the solid colors for under $20, so I stocked up on grey, white, and black. It's the perfect little base layer. I say "shorter" length because this one could seriously be a dress on me if I pulled it straight with no ruching at all. The shorter length one you can see on me here. Ah, Bailey 44, you never disappoint me. The last time I wore this dress was back in 2014 in this post here. It was a little bit more snug back then. I was super self conscious in it and I had to go commando because no matter what I did, you could see VPL. We had a holiday lunch at work with my little department of 4, so I decided to see if this dress fit, and I was pleasantly surprised! It fit great, AND I didn't have to go commando. WIN WIN. 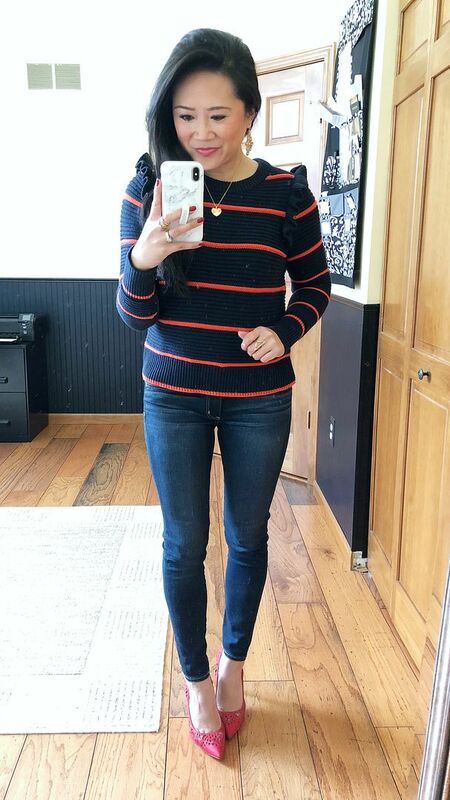 Sweater: Express (last seen here!) 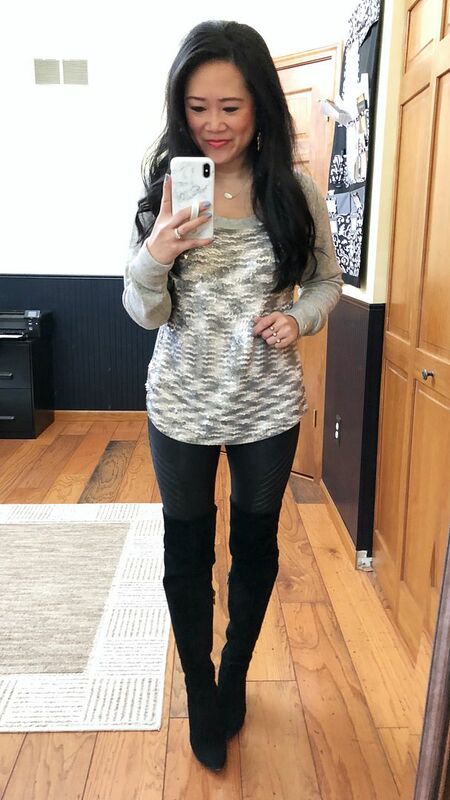 | Leggings: Spanx faux leather moto leggings | OTK Boots: Vince Camuto "Hollie"
This sequin sweatshirt is such a long time favorite. I always tend to whip it back out for the holidays, and this year was no exception. I wore this to work because I had our Pilates holiday party right after. I loved the mix of textures with the sequins and faux leather and suede! It was a comfy outfit to wear for 18 hours, too! We actually got a couple of inches of snow for Christmas Eve eve, so it was perfect for my double hooded sweatshirt and some Hunters. Basically, this is what I looked like over the holidays. I was super casual and really didn't do anything with myself. Similar outfit combo with the layers and super casual. We ran around doing some last minute Christmas shopping that day, and it was cold and snowy. Blanket scarves + this moto jacket are surprisingly warm and perfect for shopping because the jacket isn't super bulky. 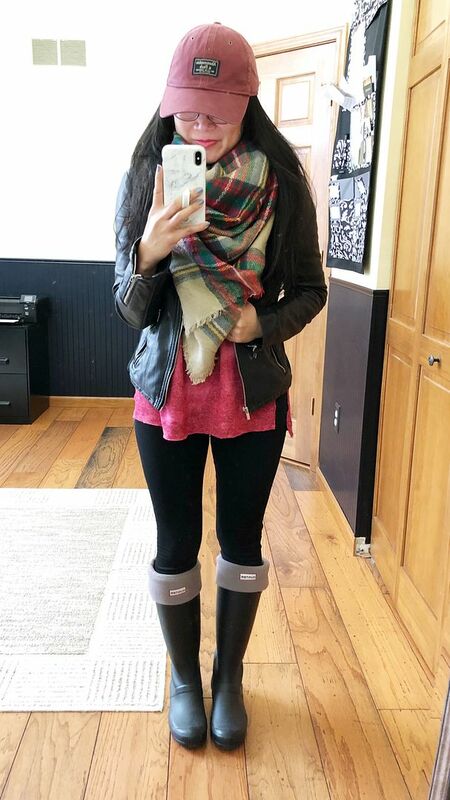 Shopping in the winter is so hard! You want to be warm from the car to the store, but you don't want to be sweaty or holding a big coat while you shop! 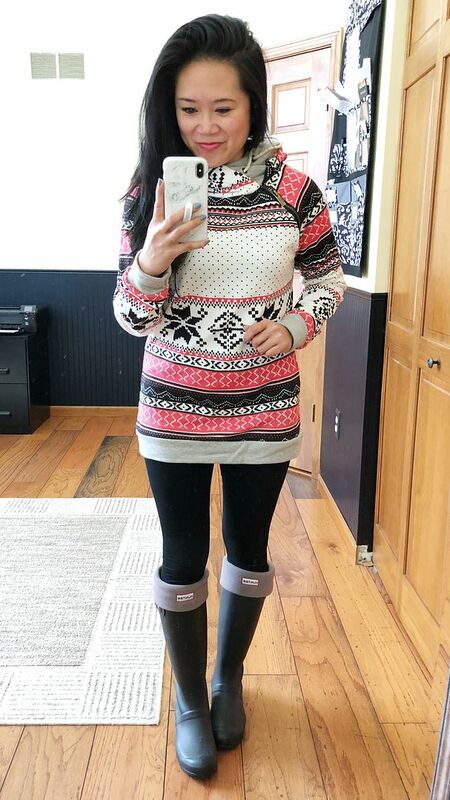 We already celebrated our Christmas with the husband's family a couple weeks ago, but we did go to his aunt's house on Christmas Day and this is what I decided to wear. I wanted to semi match the husband and all he had clean was a navy sweater. This was my way of matching but still feeling somewhat festive! And last but not least, this is another happy hour outfit meeting a couple of friends during the break! 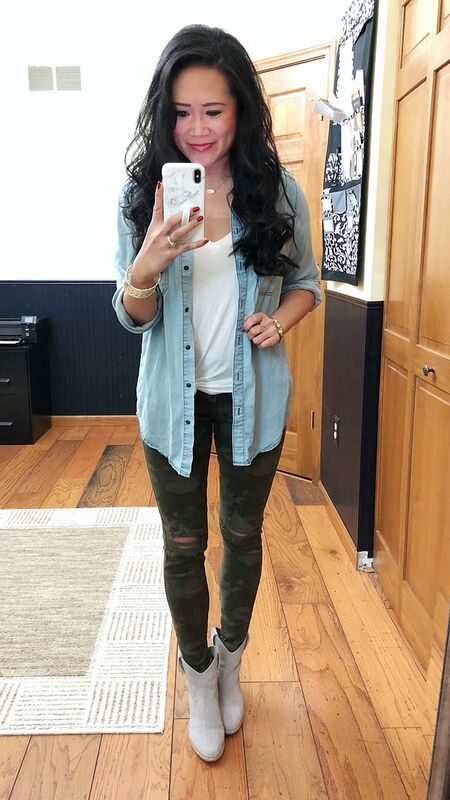 After all the casual wear and baseball caps, it was nice to curl my hair and actually put on makeup! Even though this is a tomboyish outfit, I felt like a lady, which is exactly what I needed!!!! And that's a wrap on the first week! Hope you all survived and I will see you back here next week! so many great outfit and I'm happy you finally got some downtime. You had a crazy 2017.